How to get out of a debt spiral - Cash lady offers some important advice. A debt spiral can be one of the most stressful situations for any person. A debt spiral occurs when you need to borrow money to meet your existing financial commitments. 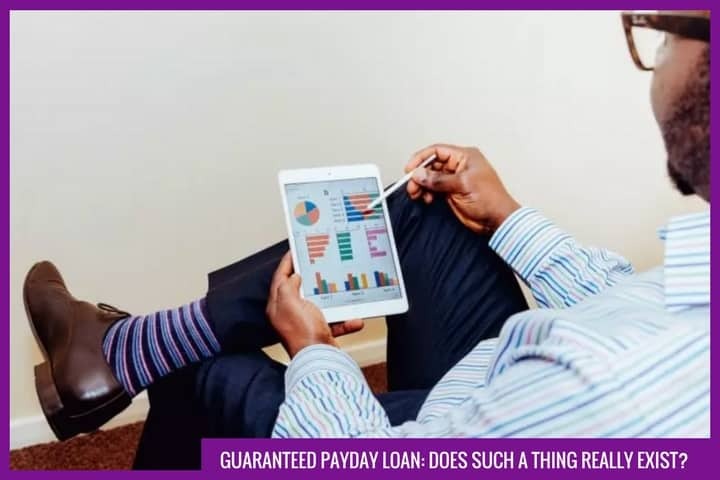 You might get into a debt spiral by taking out a payday loan to cover your car finance payment, or by using loans to pay off your credit cards. Debt spirals are extremely difficult to get out of. Every time you borrow, you add interest to the amount of money that you owe. When you are in a debt spiral, you are not paying off what you owe. Instead, you are servicing your debt whilst it stays static or continues to build. You will continuously feel like you are on the edge financially. With no spare cash, you are likely to be getting even further into debt whenever you have purchases to make. You do not need to live in a permanent debt spiral. Debts can be repaid. You can climb out of the spiral, but will first need to acknowledge the situation that you are in. Often, people getting into unmanageable levels of debt are not even aware of what is happening. Listing your debts will be the first step to getting out of a spiral. For some people, this step alone is enough to make all of the difference. When people realise how their debt is mounting up, they can often find ways to change their lifestyle and begin to pay off what they owe. Write down every debt that you have. Include loans, credit cards, overdrafts, car finance and hire purchase agreements, store cards and any other debts that you have in your name. Don’t forget to include any short term loans you might have. Write the total amount next to each debt, then add them all together. The final figure is likely to shock you. Take a deep breath. By acknowledging your debt problem, you have taken the first step to financial freedom. You cannot escape a debt spiral without gaining control of your finances. Unfortunately, many people that are drowning under debt will struggle to get back to the surface. Whilst you are servicing your debts and spending every spare penny on your loan and credit card repayments, it is almost impossible to save money and build a buffer. Creating a budget can help you to see if you are spending more than you earn. Write down exactly how much money you have coming in. List each source individually. Total your income. Do the same with the money that you have going out. You need to be in a situation where your income is higher than your outgoings. If your outgoings are higher than your income, make sure that your debt will not increase by cutting down on your expenditure. Look for any areas where you can reduce the amount that you spend. It can be hard to reduce your outgoings if you are accustomed to a certain lifestyle, but you should be able to find ways to save a small bit of money each week. Consider cutting luxuries out of your weekly grocery shop, choosing store brand foods at lower prices, or switching energy provider to save money on your bills. You may need to find ways to bring in more money, if you can’t cut your expenditure enough. Even small amounts of extra income can make a big difference. You may wish to increase your income by doing online surveys or selling your belongings. This is useful money to help you to get out of your debt spiral, but is not a regular income. Do not count this as part of your monthly budget, because the income will fluctuate each month. The best way to increase your income long-term is to take on extra work. You may be able to find an additional job, or might ask your manager to provide you with more hours or give you some overtime. Alternatively, if you are feeling brave and can justify your request, you could ask for a salary increase. Keep working on your budget until what you have coming in outweighs what you have going out. This needs to happen consistently each month. If you have looked over your budget and discovered that you cannot afford to live, then help is always available. If you cannot realistically reduce your expenditure, and cannot find a way to increase your income, then debt charities are on hand to provide support. They can also help when you are paying off one debt just to borrow more from elsewhere, or when your repayments are not reducing your overall debt amounts. You may need to go onto a Debt Management Plan (DMP), or consider an Individual Voluntary Arrangement (IVA), a Debt Relief Order (DRO) or bankruptcy. A debt charity can talk you through your options, finding out which is most suitable. You might also want to discuss a Temporary Arrangement Plan, either directly with your creditors or with a debt charity, to temporarily reduce payments and give yourself a bit of breathing room. Debt charities may help you to create a realistic budget, rather than an extremely strict one. Realistic budgets ensure that you are not living exactly to your limit, which means that you have some flexibility when unexpected costs come up. By creating a realistic budget and seeing how much you can really afford to repay, debt management charities provide borrowers with a chance to get back onto level ground. Often, people will recommend that you do not save money whilst in debt. According to these people, every penny should be used to pay it off. This approach can encourage a debt spiral, leaving you without a buffer for any unexpected expenses. People often find that once they have a small amount of money in a savings account, they are prepared for emergencies and feel much less reliant on credit. Once you have balanced your budget, you should be able to build yourself a small emergency savings fund. This is the money that you can rely on when your car breaks down or you have to miss a day of work. Previously, these emergencies may have been covered by payday loans. Find spare cash that you can set aside. Do not be tempted to spend it unless absolutely necessary. Once you have enough in a savings account to rely on in case of emergencies, you can use further spare money to pay debts. As you build up your buffer, take away your credit options. Cut up your store cards and credit cards. Do not allow yourself access to any further borrowed funds. Once you are absolutely certain that your levels of debt are not going to continue to increase, you can focus on paying things back. Whether you are using credit for your purchases, or taking the money from your savings account, buying on an impulse can set back your debt clearing efforts. To help with your money management, avoid buying anything that you have not already planned to buy. If an item is not absolutely essential, write it down on a post-it note and put it somewhere prominent. Every day, for at least a week, think “Would I have used this today? Do I need it?”. If the answer is yes for at least seven days in a row, then you can use your personal finance to make the purchase. Do not turn to credit to buy it. If you wait for seven days and decide that you will not use the item, take the post-it note down and throw it into the bin. Unless you are working with a debt charity and they have taken control of the debt clearing process, you can work to get out of debt by prioritising what you owe. Prioritise not in order of debt size, but by the amount of money that you can save by clearing the debt. If a relatively small debt is costing £30 per month, you may wish to clear that immediately so that the £30 becomes available to pay your other creditors. Important debts to prioritise over others are those that affect your living situation – if you could lose your home as a result of a debt, or if your utilities will be cut off, then these should be your first debts to focus on. If you are careful with your budget, cut off your lines of credit and stay in control of your personal finance, you should see small changes over the course of a few months. You are unlikely, however, to see a big instant improvement. Stay optimistic. Look at your debts one by one. Write down when each will be paid off. Remember: once one debt has been cleared, the money that you are putting towards it will be freed up to accelerate another. If you are putting £50 per month into paying off your credit card, then that £50 per month can be added to another debt once your credit card account has been closed. Subsequent debts will be paid off more quickly. You will not be struggling forever. Is your debt spiral out of control? Communication is key. If you are struggling and cannot see a way out of your debt, the Money Advice Service can help you to access the support that you need. This service was set up by the government for impartial advice online, in person or over the phone.